Prince Fielder, left, and Ian Kinsler, right. This just in. Some trades don’t work out. That's how baseball go, to quote the winningest manager in the history of the Rangers. I thought Rangers GM Jon Daniels made a good trade November 20, 2013, when he sent second baseman Ian Kinsler to the Tigers for Fielder. Daniels was looking for a power left handed bat and needed to find some room for top prospect Jurickson Profar. Fielder’s MLB career is reportedly over because he can’t get medically cleared after his second neck surgery in three seasons. The club will hold a press conference Wednesday and Fielder will attend. Daniels can’t be blamed for a neck injury. As my dad used to say, “stink happens”. This was not the case of a player who got lazy and lost their zeal to play or just fell off the map. Prince Fielder got hurt. Remember why Daniels made the trade for the big man. Josh Hamilton left the Rangers after the 2012 season and hit 21 homers for the Angels in 2013. I clearly remember fans jumping on the Rangers general manager for not allowing the former MVP to leave town in free agency. Fielder was the attempt to fix the power issue from the left side of the plate. The post-trade numbers favor Kinsler. He has played in more games (407 to 289,) hit more homers (47 to 34) and has a higher OPS (.771 to 760) than Fielder. It‘s easy to bang on Daniels but I would make the trade again. 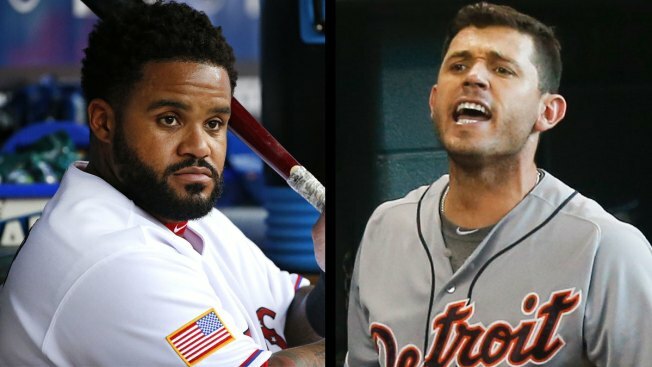 Keep in mind, when Texas made the deal with the Tigers, Fielder was one of the most reliable players in MLB. From 2006 to 2013, Prince Fielder played in 1,283 of a possible 1,296 regular-season games (162 games in 4 seasons). He was also one of the best offensive players in the game during that time winning three Silver Slugger awards. Fielder was healthy only one time in three Rangers seasons. When he was he produced 23 homers and 98 runs batted in as the club won the 2015 American League West title. He also won the 2015 A.L. Comeback Player of the Year award. 2014 and 2016 ended because of neck injuries. Mavs Gaming Season gets started May 11th. But it's more than just fun and games, this is serious business. Like dad told me, “stink happens”.